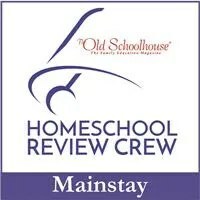 Next week, the Homeschool Review Crew will be sharing thoughts, advice, and more about homeschool encouragement. Each day you can visit the different Crew members who are participating and gather the encouragement you may need as you head into another season of education. When you are making decisions regarding the education of your children, no matter the course you choose, there are questions and moments when you hesitate and ask yourself if you are making the right one. God Schooling: How God Intended Children to Learn is a book that will encourage you to continue the endeavor you have chosen if you are home educating your children. Julie Polanco has written this book from her own experiences and research. Mrs. Polanco and her husband have home educated their four children, with nearly 15 years experience in this realm. She is the author of this book, as well as being a contributing writer for The Old Schoolhouse magazine and the Homeschooling with Heart blog. She is active in her local homeschooling community and the online homeschooling community. God Schooling: How God Intended Children to Learn is an easy-to-read, soft back book that is about 160 pages. It is broken into two parts. First is a discussion she titled “Dispelling Myths.” Part Two is titled simply “Practice.” With information from many experts interspersed with her own observations about how her children learn, there is much practical information. The purpose of Mrs. Polanco’s book is to encourage you to continue down the road of educational exploration and child-led learning. While I believe that much of what she does with her own children falls under the umbrella of unschooling, this is not the main thrust of her book. Following the lead of your children’s interesting and taking time to guide them in their learning is where her heart seems to be. The first part of the book looks at what the Bible has to say about children, education, and parents. She also introduces the ideas of motivation, exploration, and how excellence relates to these ideas. In the second part of the book, you will find age specific ideas about how to approach learning. There is a chapter about teaching children under age eight, teaching ages eight to twelve, and working with teens in their education and growth. There is information on different learning types, how to encourage them, and some ideas on how to get started. She has a chapter on questions and answers and one on structure and record keeping. This second part include a lot of readily applicable practical ideas. Many of these are good thoughts to ponder and decide if they might work for you family. Regardless of whether they work for you or not, they have ideas worth considering. Each chapter also has study questions at the end that can help you formulate your own thoughts about the ideas in the chapter and gather them into a helpful structure. I did find that there are many very forceful statements in the book that can be discouraging if you did not choose the same path she did for her family. This can be very off-putting and I struggled to read the book. Not because there wasn’t good information but because Mrs. Polanco seemed to speak as though there were no other decent options that won’t harm children. I disagree; remember, there are all different ways to teach your children and every child needs something different. Take those statements at face value and move on. There is a lot of encouragement to be found in this book for the parent, reminding why you started the road and how to continue along it. I received a note from Mrs. Polanco just a few days ago informing me that she is offering a sale on the purchase of this book until August 22, 2018. The cost of the book will be half-price until that date. A number of other ladies with a variety of learning styles in their homes have read this book in the past few weeks. I encourage you to go visit the Homeschool Review Crew blog and read what several of the other ladies thought of this book and find out what encouragement their received from it.